In a world of subprimes, recessions and scandals, where can people go to learn about finance and take control of their own future? 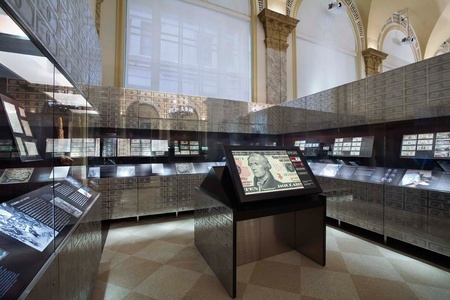 The mission of the Museum of American Finance on Wall Street is to reveal the secrets of money through interactive exhibits inside a historic banking hall. 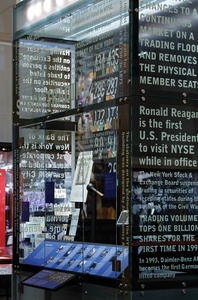 The Museum promotes financial literacy among audiences of all ages, and tells the story of the unique confluence of money, power and history that has made downtown New York what it is today.The 7,000 square feet of exhibits make the most of available space while treading lightly on the historic structure. The design uses simple geometry and color to offset the building’s ornate grandeur. 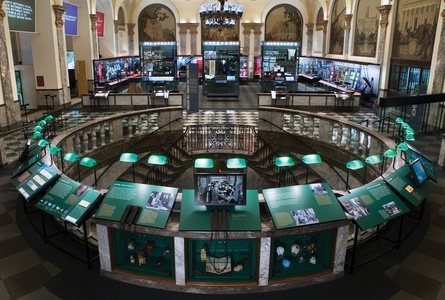 The installation was designed to appear permanent, yet individual elements can be rolled away easily to open the floor space for special evening events. "Financial Markets," the largest interactive exhibit, encompasses stocks, bonds, commodities, and other artifacts of boom and bust times. "Entrepreneurs" is a series of interactive oral history stations featuring prominent entrepreneurs. 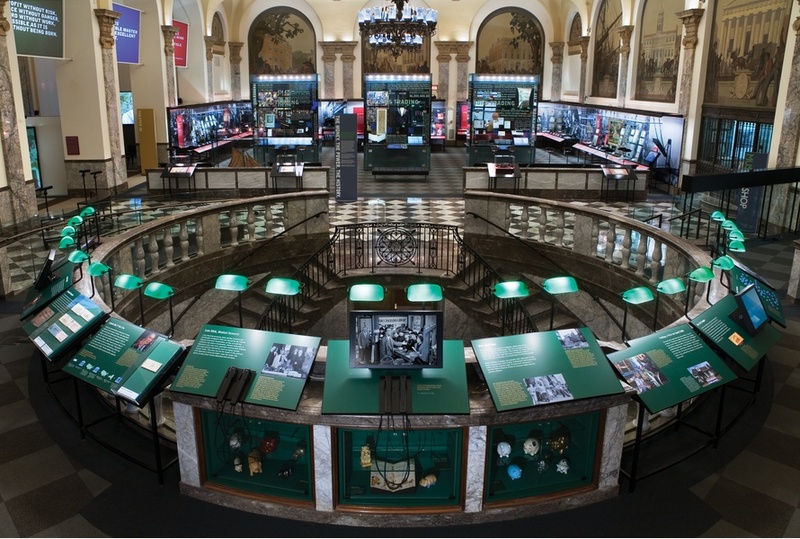 "Money: A History" includes displays of rare, large denomination bills and historic forms of currency. "Banking in America" explains the secrets of banking from mortgages to credit cards, from piggy banks to the Federal Reserve. 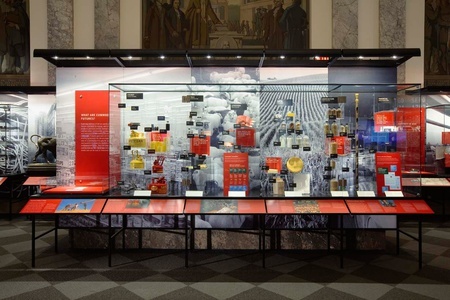 A period room honors Alexander Hamilton, one of the architects of the U.S. economic system.